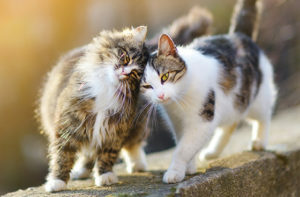 Many cats seem to gravitate toward people who are allergic to cats, or don’t like cats. This isn’t because of malice; it stems from cat body language. In the same way, people who try to avoid the cat and won’t even look at it can be interpreted as safe. There’s no threat, no pressure to perform or do anything, and the allergic person’s lap can come across as a safe and comfortable place to rest.